© by David E. Poston. David E. Poston is a writer, runner, and retired teacher who lives in Gastonia, North Carolina, with his wife Patty--also a retired teacher. 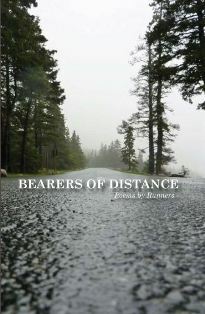 His poetry has appeared in a number of journals and anthologies , most recently Bearers of Distance (Eastern Point Lit House & Press), an anthology of poems by runners, the proceeds from which will benefit Boston Marathon bombing victims. David is also the author of My Father Reading Greek and Postmodern Bourgeois Poetaster Blues, which won the North Carolina Writers’ Network’s Randall Jarrell/Harperprints Poetry Competition in 2007. Learn more about him at http://www.pw.org/content/david_e_poston. Yes-and each year more wonderful! "As these flakes bless the indifferent ground "--My favorite lines, both because of the blessing and because of the description of the ground as "indifferent." Rich with meaning! When spring comes for you...beautiful and poignant poem David. Thank you. David, your poem is simply, hauntingly beautiful. I was especially touched by your line...the tiniest of pale buds on the fingertips of the river birch will begin looking for you... Thank you. What a wonderful idea that Bearers of Distance will benefit the Boston Marathon victims, especially now as we approach the first anniversary of that sad event. "when spring comes for you"--my favorite part, too. Fine, fine poem. Fortunate Nell. Beautiful poem, David. My favorite part is "when spring comes for you."